The ultimate physical fitness recommendation for scuba divers is to be in excellent health; free from disease, medical conditions and injury. Divers often have difficulty maintaining this clean slate. It is important for divers to know how to become and remain physically fit, prevent illness and injury, and rehabilitate and manage conditions such as high blood pressure, diabetes, heart problems, and obesity. The purpose of the ScubaFit® Diver Course is to teach divers who are new to fitness an effective approach towards the establishment of a foundation of general fitness and fitness specific to diving, as well as an understanding of the physical demands of diving. It serves as a safe and supervised fitness program for diving. 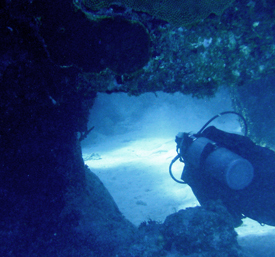 This course familiarizes divers with the skills, knowledge, planning, organization, procedures, techniques, problems, hazards and enjoyment of being physically fit for diving. Divers will learn how fitness improves diving performance and reduces the risk of injury and illness. For those divers with experience and knowledge of general fitness, in addition to the above mentioned topics, they will learn activity specific exercises and training concepts that will enhance all their diving activities. All divers will also be given an introduction to the basics of nutrition and the necessity of maintaining hydration during diving. 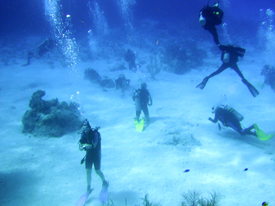 Scuba diving is usually described as a moderate level activity. Scuba diving by itself does not lend itself to the maintenance of physical fitness. 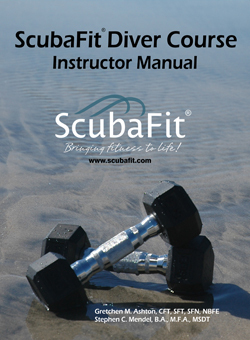 The ScubaFit® Diver Course provides the diver new to a fitness regime an introduction to fitness basics. For those divers who already pursue a program of physical fitness, sport specific exercises, fitness concepts, and training tools are expanded to advanced levels and unique circumstances. The program incorporates components for maintaining physical fitness for all types of diving during peak seasonal activity and during the off season. Click here to contact us for classes or an instructor in your area. Click here to register and begin the ScubaFit® Diver Course. Students registered for the ScubaFit® Diver Course can purchase course materials online. Diver Student Materials are intended for use under supervision of an instructor. Divers must purchase both the ScubaFit® Diver Student Manual and ScubaFit® Diver Student LogBook to complete the course. To qualify to teach the ScubaFit® Diver course, an individual must be a Teaching status Instructor or higher who has completed the ScubaFit® Diver Instructor Course with a ScubaFit® Instructor Trainer. The ScubaFit® Diver Instructor Course contains standards specific to this course, knowledge development presentations, practical exercise applications, and appendices with references and sources. This guide is efficiently sequenced for easy understanding in a “follow-along” layout including meaningful transitions, practical hands-on applications and helpful illustrations, photographs and descriptions. A companion power point presentation may be easily implemented. The guide includes a ScubaFit® Diver LogBook, which is a workbook of forms that are completed throughout the course to engage the student in the learning process and provide information important to the instructor. Click here to find a ScubaFit® Diver Instructor. We invite all ScubaFit® Diver Instructors to submit profile information which is listed by State and Country. Instructors: Please send a photograph, 100-word bio and contact information to be listed in the Instructor Directory. 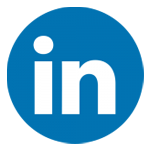 Instructors who also send a short essay about how and why they scuba dive and a resume may be feature in promotional articles and media releases. By submitting the information, instructors are granting permission for its use. This is a great way to gain exposure and help student divers locate ScubaFit® Diver Instructors in their area. The ScubaFit® Diver Instructor Course has been approved by International Sports Sciences Association as 10 continuing education units for personal trainers. Most certifying organizations acknowledge ISSA as a crossover credential. Please check with your certifying agency for CEU credit. Fitness Instructors who are certified, in good standing with a recognized agency and properly insured may take the ScubaFit® Diver Instructor Course and may teach the course. Fitness instructors are encouraged to become certified divers so as to be familiar with the physical demands of diving.